When I first started homesteading, I wanted to grow food as fast as I could. 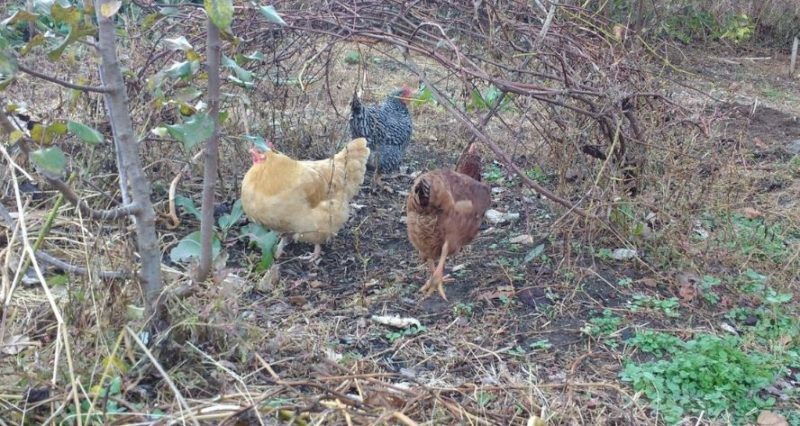 So, we set up some compost piles, installed fences, amended the soil, started a vegetable garden, and generally did everything that was necessary to produce food in a hurry. We never just wanted to have a homestead, though. We wanted to create a sanctuary from the endless shopping centers that seem to be swallowing cities whole. We tried to make a place that was not only self-sufficient but charming and enchanting. After almost five years of planning and working on this dream, we have now arrived at the point where our self-sufficiency systems are working well, and we have time to focus on making things beautiful. As such, my big project for the fall and winter is to retrofit our very functional, but not always beautiful, vegetable garden to be more like a French-style potager. 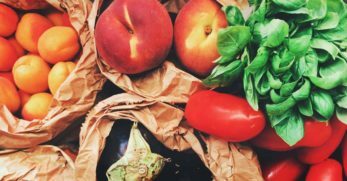 As I made my plan and started implementing it, I learned a lot about potager gardening that I want to share with others. 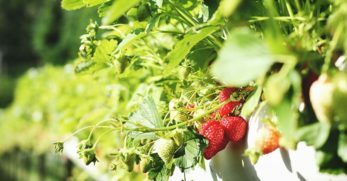 If you are interested in upping your game and going for good garden design as well as excellent food production, then read on. This post is for you! Many people think of a potager as an ornamental vegetable garden. To me, though, it is as much a space to cultivate your senses, connect with nature, and create art as it is to produce vegetables. In other words, a potager is a place to grow food for the pleasure of doing it and not just self-sufficiency. 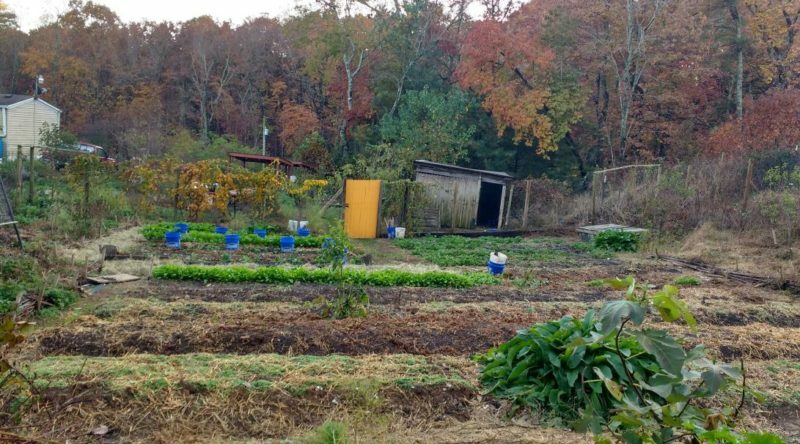 A potager takes a bit more planning than a typical vegetable garden. It also involves more creativity than your standard rows of vegetables. 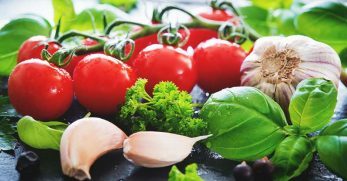 There may also be more care required since the vegetables and herbs you grow in a potager can be a bit more challenging than your standard staple garden fare. 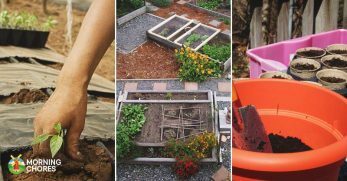 Making a potager is about taking your gardening skills to the next level and becoming not only a good gardener, but also a designer, artist, and horticulturist. 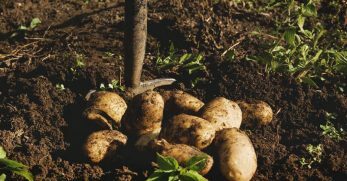 To do that, you need to start by making a potager plan. 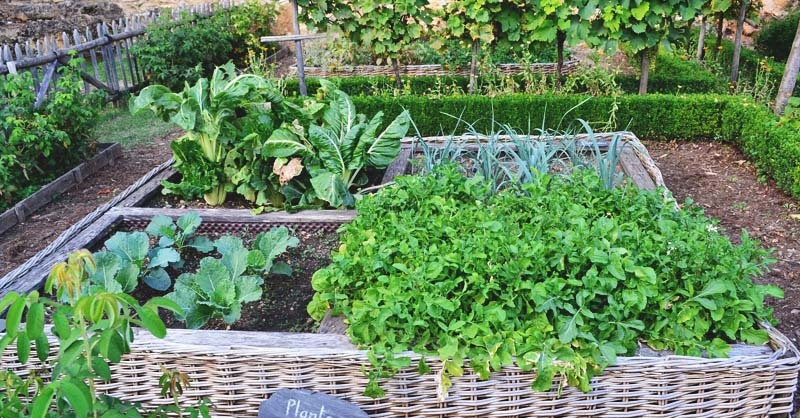 Like any vegetable garden, potagers require full sun, good drainage, and excellent soil. In my case, I am retrofitting an existing garden, so I already know it's perfect for a vegetable garden. 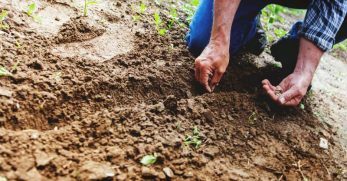 If you are just getting started, though, make sure you spend some time picking the ideal location and preparing your soil. With a potager, you want to plan your garden for beauty and not just function. Which means you want to give a lot more thought to your paths, and create a sense of direction to your garden. You may want to include things like perennial herbs and flower patches along the walkways. Or you may want to use less traditional layouts like intermixing square and rectangular beds with rows. Also, think about using circular pie-shaped designs for even more interest. Whatever format you choose, break it up, make it interesting, but also keep it flowing, so you want to stroll through your garden. Artistic design elements are a huge part of what distinguishes a potager from a just a vegetable garden. 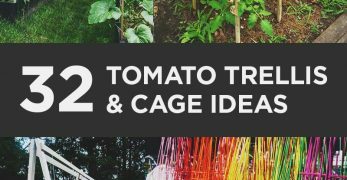 Using design details like trellises, picket fences, and decorative fruit trees to create a sense of enclosure and privacy will make your potager feel more like a getaway. Incorporating container garden areas, a water feature, or lovely seating area is also good ways to make your potager a haven from the hectic outside world. Organizing by flower, fruit, or leaf color are also techniques often used in a potager. Grouping all your purplish plants like Red Russian Kale, Purple Cabbage, and Purple Cauliflower in one area and your burgundy colored beets, chard, and leafy lettuces together in another adds visual interest. Play with plant heights and leaf textures to create painterly type scenes in your potager. Shrubs and permanent plants add elements of interest to the ever-changing annual vegetables. 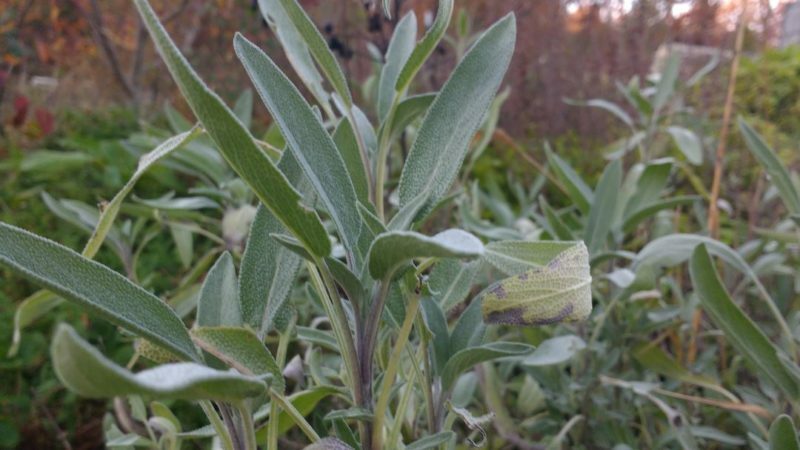 For example, culinary sage, Munstead lavender, and wormwood all have similar, silvery leaf color. 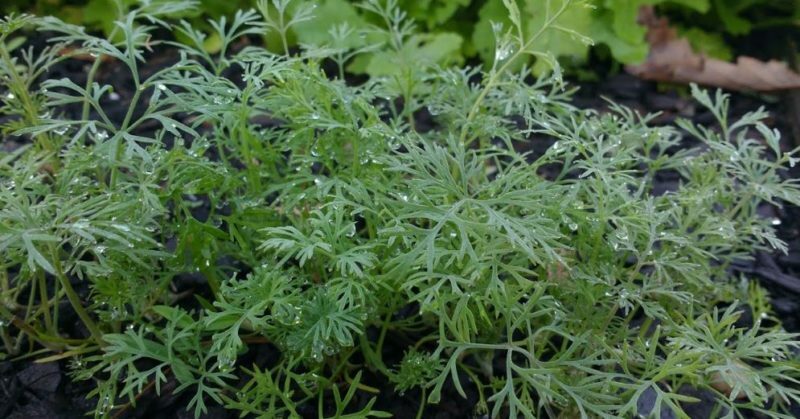 Wormwood plants can get 4-5 feet tall. Culinary sage can get to about 2-3 feet tall and wide. Munstead is compact and tends to only get to about 1 foot tall. Wormwood with its height and drama becomes a backdrop. Sage as a mid-level plant breaks up space. Munstead as your border plant, with electric purple flowers at times, draws you in and gives immediacy. Using three levels of plants duplicates the sense of having a horizon, as you would find painted on a canvas. Incorporating groupings of annual plants like soft neck garlic that send up scapes just before harvest, or feathery dill, between your sage can add seasonal flair to your perennial pairings. In warm weather, adding some small patches of annual okra or amaranth in between the wormwood creates striking variance. Stands of pole peas can also add vertical interest in cooler weather. 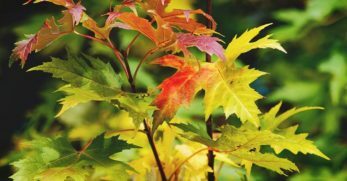 Even in your annual beds, using the age-old adage “thriller, filler, and spiller” can increase yields and beauty. Use upright plants like corn with their almost firework-style tassels as your thriller. 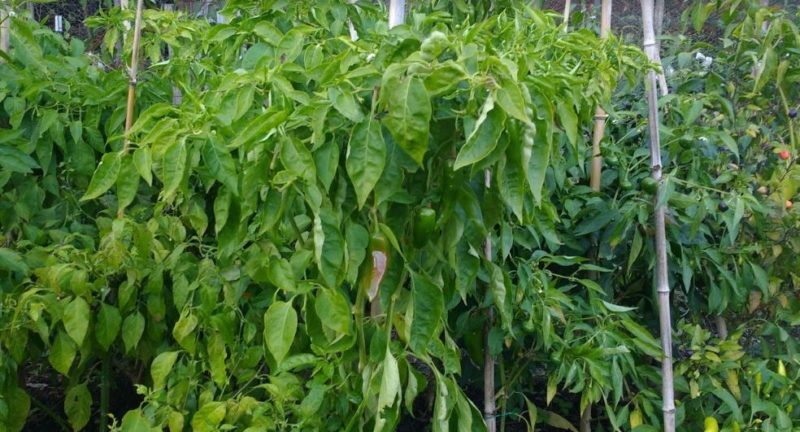 Or try a variety of tall peppers with their stunning, shapes and colors. Then use large-leafed plants like summer squash or chard as your filler. 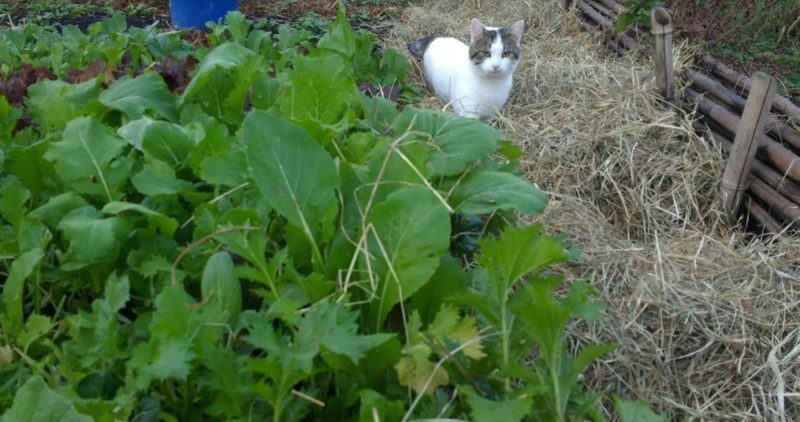 Opt for low growing heat-hardy leafy greens as your spiller to fill in the foreground. 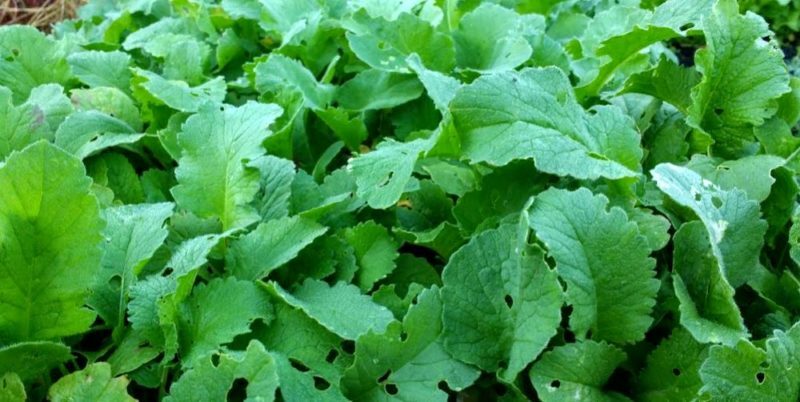 New Zealand spinach makes a great long-growing hot season green that snakes and spills across your beds. A few well-placed sweet potato plants, grown for their greens rather than roots can work well too. No self-respecting potager would be complete without flowers. Borage, sunflowers, nasturtiums, and marigolds are a must in a potager. 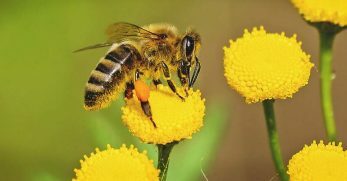 There is no place for hybrid plants in a potager garden. Hybrids are excellent for production crops because that's what they are designed for. A potager, though, is about showcasing your skill as a gardener and trying new things to keep gardening exciting. Heirloom seeds are living history. They pass through time, responding to the various environments they are planted in, and become altered by their surroundings. Planting seeds that pre-date industrial farming connect you with an authentic past built on more than just profit and productivity. I don't think it's enough just to buy heirloom seeds, though. I think you also need to learn about the history of your plants and be passionate about preserving their proud heritage. 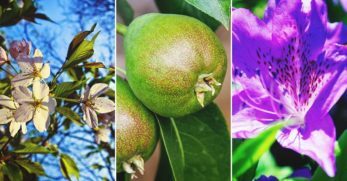 When you are planning your plantings, dig into the details about where those seeds were discovered, how they were brought to your country, and what makes them unique. When you put your labels up in your garden, don't just say “peas” say “Carouby De Maussane Snow Pea.” Then, know that this seed hails from the South of France in Maussane and that it dates back to the 19th century. Seeds are also a celebration of cultural diversity. The transfer of seeds from culture to culture is globalization at its historic best. Corn comes from Mexico and has a 7000-year history. The Celts first cultivated cabbage in 1000 BC. Salads – as in cut greens covered in dressing – come to us by way of the Romans and ancient Greeks. You could take your potager planting on a global tour. Plan your beds by country or region of origin. Or, make an around the world garden clock full of the most exciting edibles from around the planet. Keep in mind; different regions have different climates. So, though it's fantastic to want to grow Siberian heirlooms, they may not work so well in a hot summer garden. Still, some varieties, like Dwarf Siberian Kale, might work well if started in early spring or late summer. Another way to add historical authenticity to your potager is to use antique items for decoration. 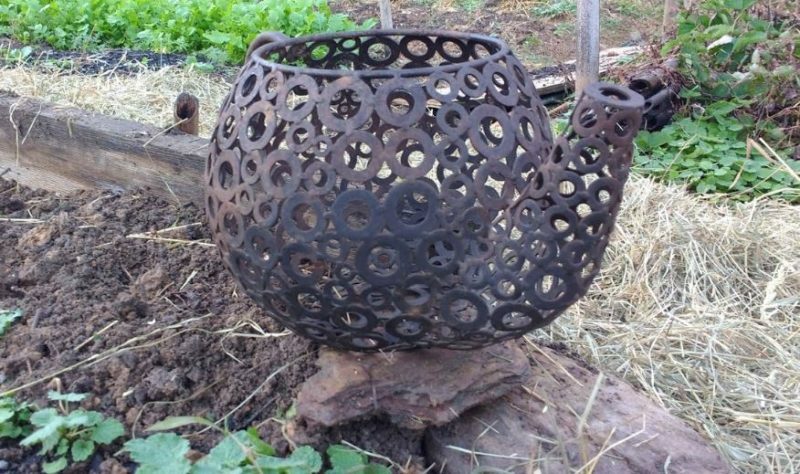 Salvaged wheelbarrows, shovels, bricks, and other decorative items can give a new garden old world charm. 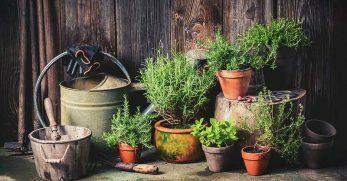 Alternatively, restoring and gardening with antique tools can make working in the garden feel like traveling back to quieter times. With some good flea market finds, you can have your very own potager garden time machine! A potager should have a few things you absolutely can't get at your local grocery store or that costs a fortune to buy. Whether it's some Gochu peppers that add flair to all your Asian cooking dishes, cardoon leaves that give snap to your pickles and pizzazz to your plate, or saffron flower stamens to spice up your stalk – adding exotics is a must! In cold climates, it's also totally worth growing a few marginal edibles in pots that you haul inside for winter. A Meyer lemon or Key lime tree can make a Northern potager pop with tropical color. 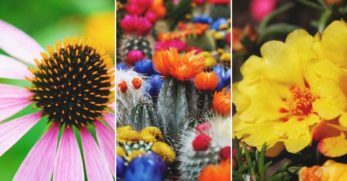 In warm climates, starting seeds indoors and transplanting mature cool weather plants early, can add early excitement to a mostly hot-weather garden. Once you have your plan on paper, the next step is to put it into motion on the ground. I am a huge advocate for making a life-size mock-up where you plan to dig – before you even break ground. Birthday streamers, caution tape, or baling string plus a handful of garden stakes or posts can all be used to make your mock-up. In my first garden, I didn't make a mock-up. As a result, I made some of my paths too narrow for my wheelbarrow to fit. That meant I had to use buckets to bring in all my soil amendments like compost. Had I made a mock-up, I would have realized that having less than 2-foot pathways makes it more complicated to get in and out with hand tools and soil amendments. Walking through a space, plans in hand is an essential part of being a designer rather than just someone who gardens. If you are planning to use decorative details like an arbor over a path, plug in ladders or bamboo posts to help you visualize your larger design elements. 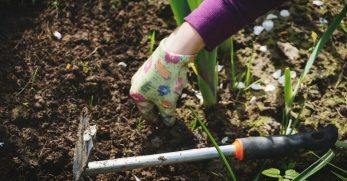 Use your hoe to draw circles where the roots of your perennial plants will be so you know if you've given them enough room for when they reach their mature size. Think about sun and shade patterns. Make sure you haven't planned any tall plants or structures that will cast shade over plants that can't tolerate shade. Imagine your heaviest rains flowing through your paths. Consider the wind cresting the hill behind your new garden area. How does your design hold-up to your conditions on the ground? The more real you can make your mock-up the better result you'll have when you start your potager. Now is the time to make corrections, before you've put your picket fence and cast shadows of doubtful production over your full sun-loving Malabar spinach. Now that you have a working plan in place, you just need to put it into motion. Be organized in how you implement your plan. Anything that needs to be installed underground, such as plumbing, electricity, or drainage improvements (if those are part of your plan) should come first. Then, work in the way that seems most logical for you. For a brand new garden, I like to prepare my beds and put in any large decorative elements before I install my fencing. That way, I don't have to open and close gates or navigate around impediments. Once I have my beds in place, then I'll add the fence before I start planting so that I can protect plants from garden pests (like my own chickens). For a potager, you may have different soil needs for the different kinds of plants you choose to include. 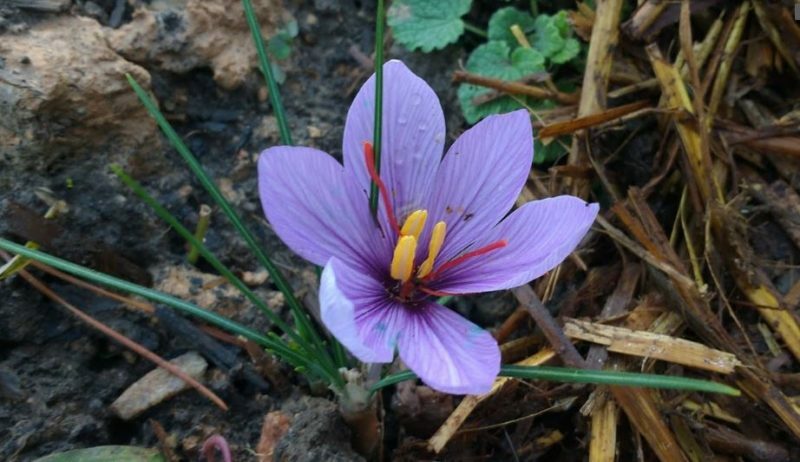 Your Mediterranean herbs may need better draining, rockier type soil than your beds of root vegetables. So, as part of working your plan, make sure to prepare your soil for what you will plant in each location. Also, if you plan to propagate your own plants, start your seeds, layer your existing plants, or root your cuttings as early as possible. That way you are ready to fill your potager garden come spring. 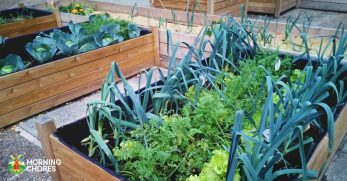 Because a potager is a decorative vegetable garden, as much as it is a productive one, the real challenge comes when you have to maintain it. 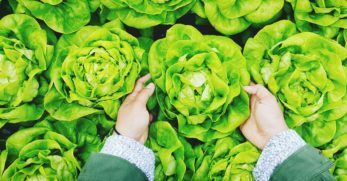 For vegetables you harvest whole like cabbage heads, you may be replacing them with something completely different. Having your transplants ready to put in your beds at the time of harvest will keep spaces from appearing bare. 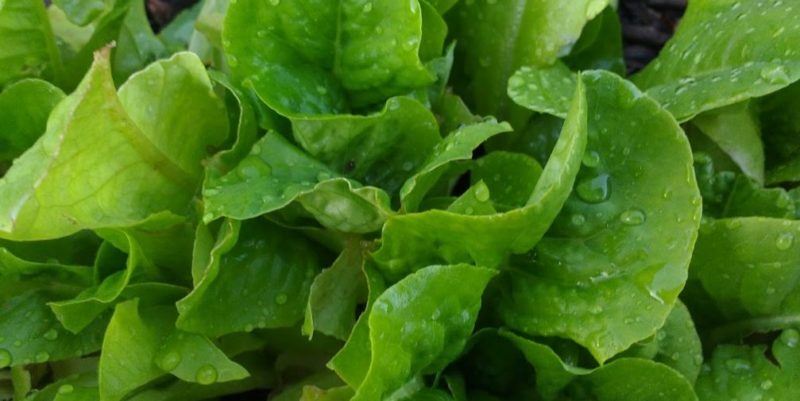 For vegetables you continuously harvest like come-and-cut lettuce, keeping up with your harvesting and seed starting is critical. Over-seeding to fill in bare patches ensures the areas fill in quickly. Thin a bit later than you would in a traditional garden. Harvesting only what you need, when you need it, and transplanting or seeding as you go keeps beds from being empty. For example, instead of picking all your beets at once, pull the large beets first and put transplants in their place. Then, as those transplants size up, harvest the rest of your beets. Compost or straw covered soil is more aesthetically appealing than bare dirt. 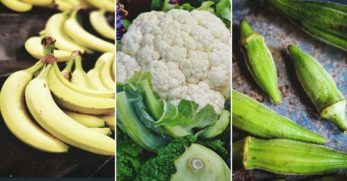 Keeping a ready supply of these items on hand to cover seeds and maintain fertility will also make your garden more appealing during seeding. 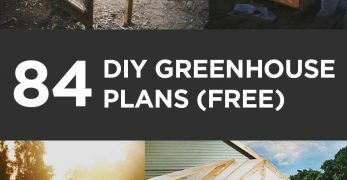 Using decorative cloches over wide spaced plants or pretty cold frames can also make your garden beds interesting even before seeds germinate. Plus, these tools can speed up germination. In warm weather, using shade cloth or floating row cover can cool soil and speed up germination while also making beds seem occupied. You can put a clay tip on a wine bottle and use it to water newly seeded spaces or transplants. The bottle not only marks the location of your seedlings, but it also adds visual interest until the plants grow up. 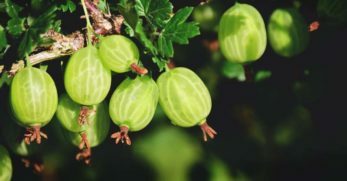 You can also keep a collection of whirligigs to use to mark seedlings and prevent birds from swooping in and eating your seeds or stealing your bean sprouts. 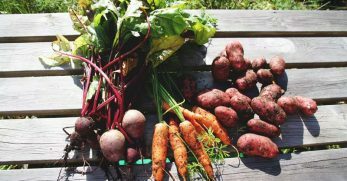 Even though we emphasize beauty and on challenging ourselves as gardeners in growing a potager – it's still all about the delicious food. 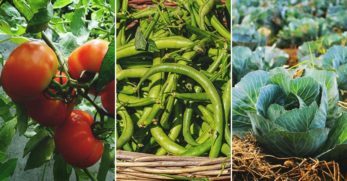 Potager, after all, is just a fancy French way of saying “kitchen garden.” So, remember to harvest and enjoy what you grow, as well as enjoying growing it. If you want to harvest all your beets at once to cook up a large batch of borscht for your family – then do it! 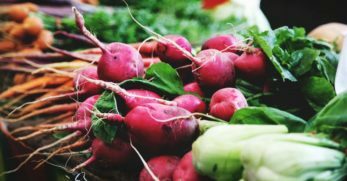 Besides, you can always throw a quick crop of heirloom “French Breakfast” radish in the ground to occupy your beet bed until you get around to planting it properly. It's a beautiful thing to grow your potager garden, your food, and your skills – all at once!